Even though Delhi Capitals and Sunrisers Hyderabad have the same number of points – four – to their names right now, they have had considerably different journeys to earn them. 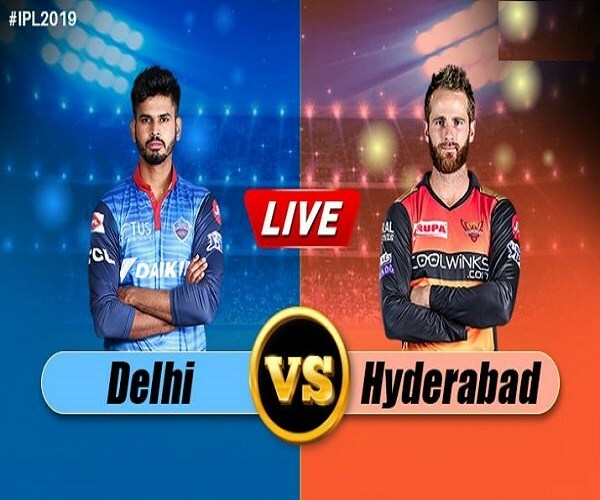 Apart from the fact that Sunrisers have played one match fewer, Delhi have somehow managed to lose their nerves in the last two matches, not an ailment Sunrisers have shown symptoms of. Delhi were cruising in their chases against both Kolkata Knight Riders and Kings XI Punjab before slipping. Kagiso Rabada saved them in the Super Over against Knight Riders, but against Kings XI, there was no coming back as they lost seven wickets for just eight runs. They can’t afford to make such mistakes again, especially against a team that’s been among the best in the last few seasons. Sunrisers’ bowlers must be desperate to have a go and get their act back together, especially in the death overs, seeing the way Delhi have batted at the end recently. Their top-order batsmen, of course, are likely to tear into any bowling attack that errs even marginally. ALSO READ: Do You Know, A 'Mini Gujarat' Exists In City Of Nizams Since 100 Years? Sunrisers’ death bowling wasn’t tested against Royal Challengers Bangalore on Sunday, and it’s one area, along with their middle order, that Delhi would want to target. Yusuf Pathan has faced 22 balls this IPL and Manish Pandey nine. That means only one thing for Delhi: get quick wickets. Having already lost two of their four matches, this is a good chance for Delhi to win at home before they travel for three away matches within the next ten days. The Delhi track has see-sawed so far, giving first-innings scores of 147 and 185, and might continue to be low and slow on Thursday. David Warner had taken a blow on his hand while taking a sharp catch at extra cover to dismiss Virat Kohli on Sunday. But he is now “100%” for Thursday, and while Jonny Bairstow showed signs of discomfort during his century, perhaps because of cramps in the Hyderabad heat, he is also fit. When Sunrisers met Delhi Daredevils last in May 2018, they had chased down 188 with ease, ending a Rishabh Pant century in vain. Delhi man Shikhar Dhawan was with Sunrisers then and had scored an unbeaten 92 off 50 balls. Even though Mohammad Nabi opened the bowling against Royal Challengers and took 4 for 11, it might be a good idea to hold him back until Pant and Colin Ingram walk out to bat, to turn the ball away from the left-handers. His economy rate in the middle overs (7-15) is better than in Powerplays anyway: 5.30 compared to 6.10. The home side may want to open with legspin – Lamichhane – against Bairstow if the pitch is slow and low, as expected. Bairstow has been dismissed by legspinners all three times this IPL and averages 23 against them in all T20s since 2015. Sunrisers might not want to give Bhuvneshwar more than an over in the death, especially if they bowl first, given his poor recent form. His quota could be given to Rashid Khan, who has gone at 8.20 per over in the last five overs in the IPL since 2015, better than Bhuvneshwar’s 9.50 and Sandeep Sharma’s 10. You’re set for a spectacular scrap no matter who bats first on Thursday. Opener Prithvi Shaw has scored only five runs off Bhuvneshwar’s 12 balls overall in T20s, although with no dismissals. On the other hand, Warner has struck Rabada for only 16 off 14 balls, being dismissed once. Only two batsmen had got the better of Rashid in the last IPL: Chris Gayle and Suresh Raina. Pant, another left-hander, will take confidence from that and his own record against Rashid in the IPL: 45 runs off 30 balls and only one dismissal. To add to that, Pant averages a whopping 62.80 and strikes at 162 against Sunrisers. Pandey will have to find a way to score against the left-arm spin of Axar Patel, if he is fielded. Pandey has scored 23 runs off 39 balls against Axar over the years, while being dismissed twice. He hasn’t scored particularly quickly against left-arm spin in the IPL since 2015 anyway, with a scoring rate of 116.20.